It’s almost Valentine’s Day! So, let’s start with a little bit of Valentine’s Day trivia. Did you know that 58 million pounds of chocolate candy is bought each year during the Valentine’s Day week. Yes, that’s M-M-M-Million P-P-P-Pounds! Between today and tomorrow I will give you two more reasons to buy chocolate this week. 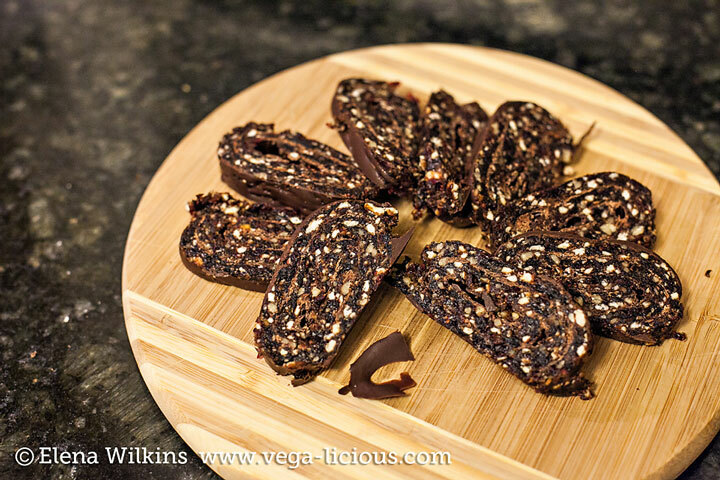 However, my chocolate Valentine’s Day treats are a step up from what you will find at the store–they are healthier! Much healthier! But…still treats. 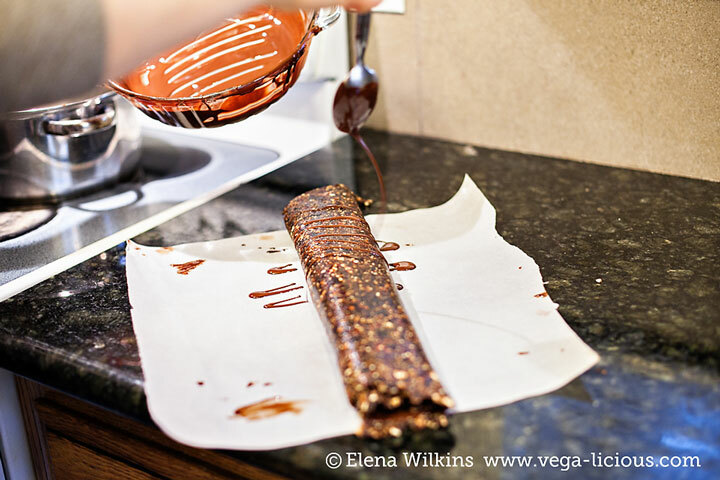 Let’s start with treat #1: Chocolate Roulade Recipe! With very few ingredients, this treat is easy to make. The tools are very basic: a food processor, a blender or even a KitchenAid grinder will do. The rest of it is your muscle power–stirring, rolling, folding and cutting. Really simple. Chocolate is the only “naughty” part of the recipe. But, it’s Valentine’s Day! So, have a treat! My niece was the one that came up with this recipe, so, I enlisted her help in shooting photos for this post. This woman is SUPER creative in the kitchen. If I run out of recipe ideas, she’s the one to visit for inspiration. 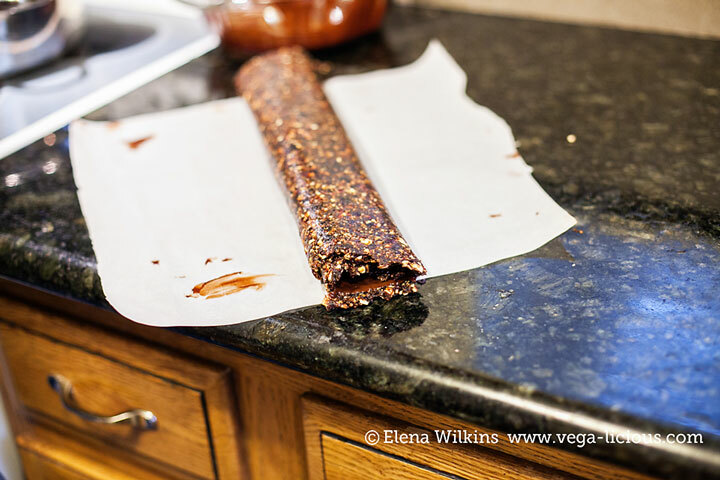 Your “almost finished” product will looks like fruit leather, and you will want to eat it right away, but, wait! When it is all done it will be delightful! When finished, Chocolate Roulade will be one Valentine’s Day treat you won’t feel guilty about. You will be eating prunes (!) on Valentine’s Day! I don’t think you can beat that. Make it. Eat it. Let me know what you think about it. 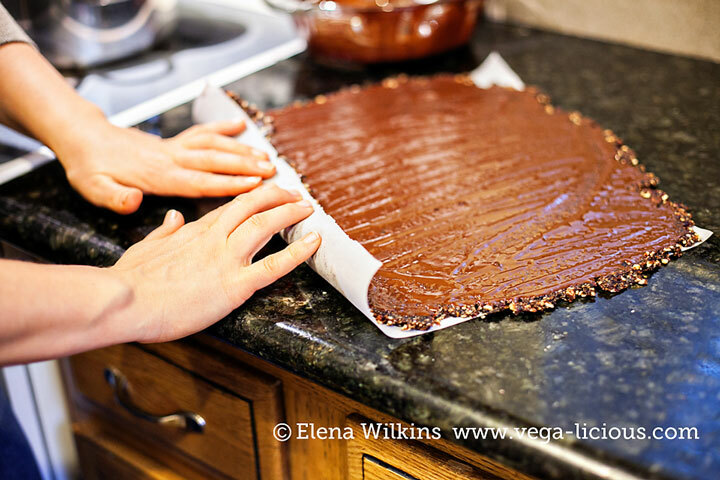 I will send one more healthy(-ier) chocolate recipe your way tomorrow. A healthier Valentine's Day dessert. Place all ingredients, except for chocolate, into a food processor. Blend until dough-like consistency is achieved (image below). Do not over-blend, not to make this into a nut butter. Leave some texture. 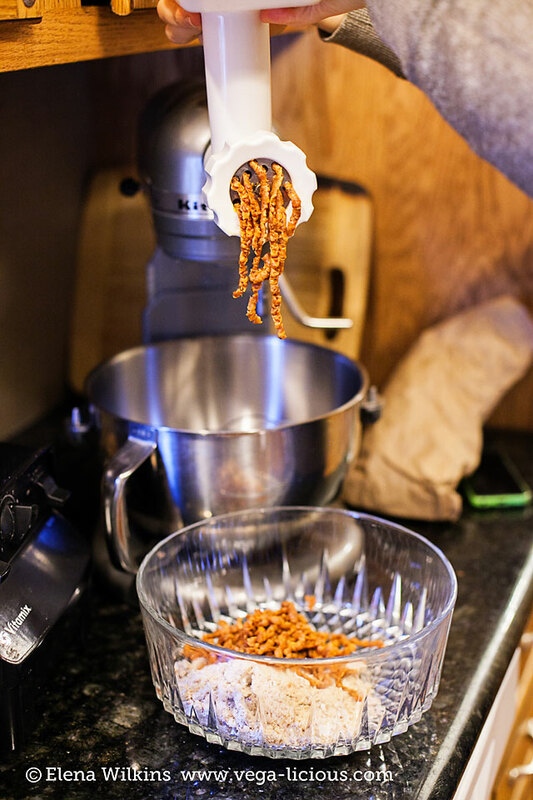 If you do not have a food processor you can use a high-speed blender to pulse nuts to flour-like consistency; then do the same with dried fruits. Alternatively, to grind fruit you can use a KitchenAid mixer with a grinder attachment (image below). If you follow this option, after grinding the fruit, add it to the nut flour, which you would still have to create with either a food processor or a blender. 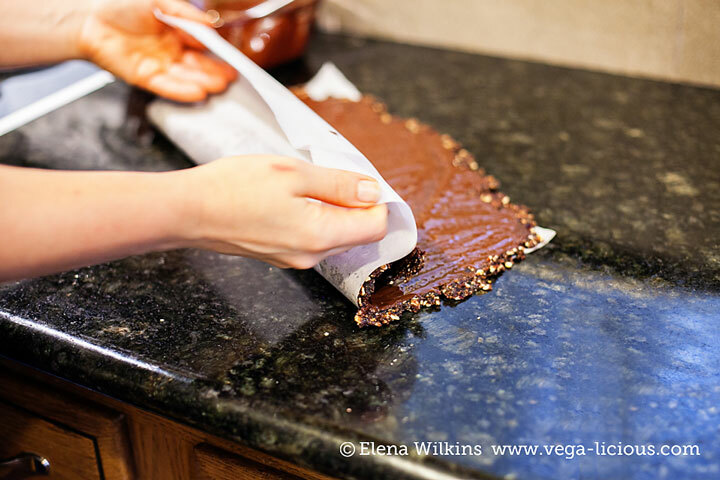 When ingredients are well combined, lay out on parchment or wax paper. 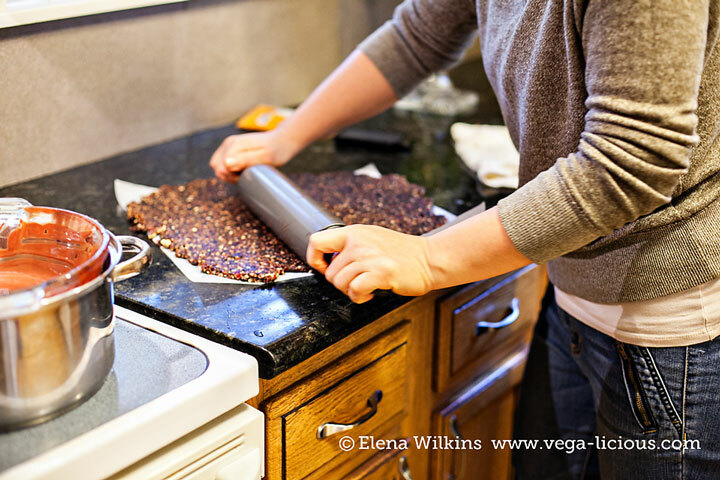 Using a rolling pin, roll dough into a thin sheet (about 3/16-inch (0.5 cm)). 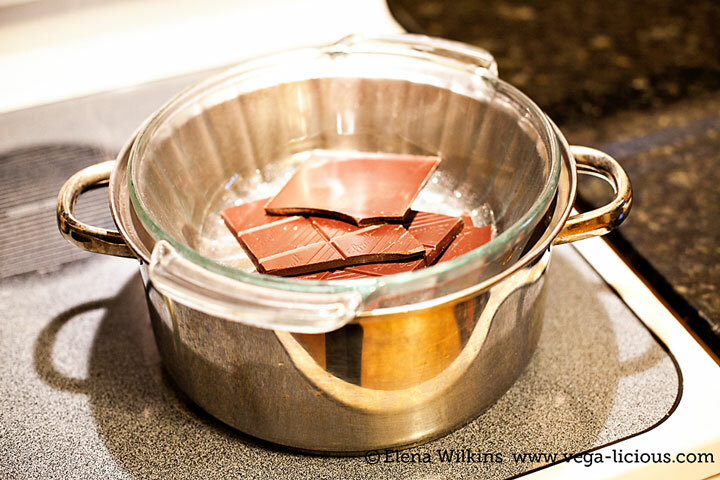 In a double boiler (use a pot with hot water and a glass or metal dish over it—image on the next page) bring water to boil, place chocolate chunks into the bowl. 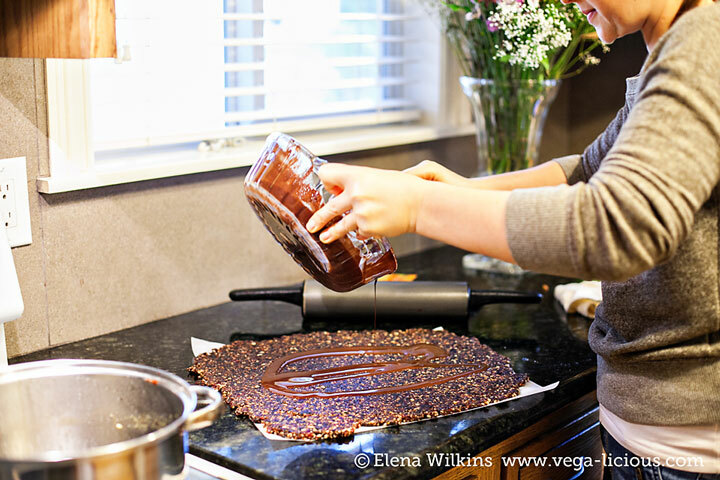 Pour it over the dough, spreading it out evenly (keep 2-3 tbsp of chocolate for decoration). Allow chocolate to cool for 5 minutes. Roll dough into a roulade, as shown in the image. Use leftover chocolate to drizzle over the roulade. Freeze roulade for 1-2 hours before enjoying. Slice into thin discs and serve. Leftover roulade can be frozen.